ALR Dressage is back in full swing at Massar Stables in Memphis, TN after an exciting but short winter season in Wellington, FL. We were fortunate enough to stable at the newly renovated IDA Farms located in the Little Ranches community of Wellington. With excellent staff and even better management by the Bursens family, IDA's new facility boasts three large arenas, a jump field, gallop track and large sand paddocks. The sun, palm trees and warm weather only make it that much better. Best of all was the training time we and our students had the opportunity for from some of the US's top trainers like Olivia LaGoy-Weltz, Debbie McDonald, and Katherine Bateson-Chandler. Among the many lists of highlights from our Florida trip was Jenny's CDI 4* competitive debut. With the new amateur division being offered at CDIs, Jenny had the opportunity to show in the PSG and I-1 classes aboard her own Lanzelot 99, taking third on both days off competition with scores in the mid sixties. It was hare to leave sunny Wellington, FL but we are excited to be home and gearing up for a great 2015 show season! Welcome to Gadget! ALR's newest imported sales project from Belgium. Can't wait to see what the future holds for this sweet and very even tempered little guy. 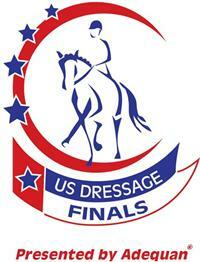 ALR Dressage enjoyed a very successful outing at both the Region 2 USDF Regional Championships and then the U.S. Dressage Finals, both shows held in Lexington, KY at the Kentucky Horse Park. Ally's student Jennifer Van de Loo qualified for Regionals with highly competitive scores throughout the year on her 15 yr old Oldenburg gelding, Lanzelot 99 in both Prix St. George and her very first year of Intermediate 1. Her assistant trainer, Nicole Ardito-Ng, also qualified on her own Royal Step, a 5 yr Oldenburg gelding that she imported herself from Germany a year ago. Despite more than adverse weather conditions, and 24 hours of rain, she persevered to lay down a beautiful Training level test in the huge open class with a score of 68%! Jenny ended up placing third in her PSG class and 4th in her Int 1 class, also both large, highly competitive classes. "Sometimes it's tempting to choose a Regional Championships that's not as highly competitive to "up" your chances of making the finals. I try to resist that so we can get an honest result going into Nationals. Region 2 championships was one of the largest in the country with over 1600 rides and an extremely high quality level of competitors. This is the reason I think we ended up so successful going to the Finals!" Though Nicole stayed home to hold down the fort, Jenny qualified with her great wild card scores and proved that she more than deserved to be there by placing 7th in the Int 1 class and then put in the test of her life to claim the Reserve Champion Prix St. George adult amateur in the Nation! Ally couldn't be prouder of the continual progress and success of ALL of her students. "One of the most rewarding things about teaching is watching my students not only progress up the levels and enjoy competitive success but become more effective, confident and secure in their own abilities." 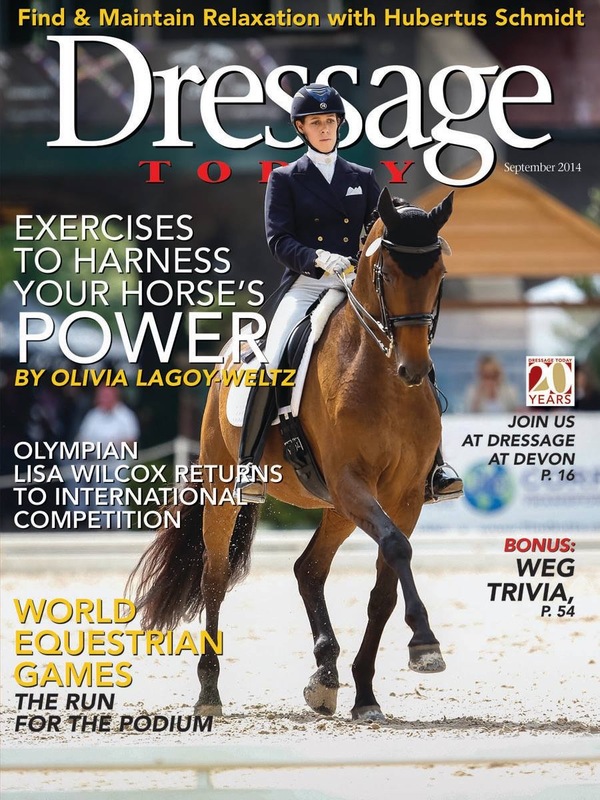 ALR Dressage was once again proud to host Olivia LaGoy-Weltz this past weekend for an educational and inspiring clinic. Through her insightful teaching and logical approach to biomechanics, she helped to improve all of our clinic riders' seats as well as their riding technique. A big thank you to all of our participants and auditors for making it a great learning experience. Braving the 90 plus temps, ALR Dressage had a fantastic showing at CTDA's Ole South Dressage Prelude and Classic shows in Murfreesborro, TN. Kathy Massey and Nicole both showed their young horses in the spooky indoor arena to earn their qualifying scores for Regional Championships. Jennifer VanDeLoo also received her PSG qualifying scores with a 68% and 69%! The highlight of the show however, was Karen Raber's Gold Medal winning ride on her home trained Silvester. Showing Grand Prix for only the second time, she earned a 61% the first day and a 65% the second day. What a huge accomplishment for the both of them. Congratulations!!! Starting with an extended journey up to Kentucky with a blown out tire and finding three of our foster friends their "fur"ever homes, we had a whirlwind of a show at KDA this past weekend. Successful scores for everyone, including top placings for Kathy Massey on Desi at Training and First Levels and Jennifer Van DeLoo on Lanzelot 99 at Intermediare I. Ally showed Jennifer's young mare, Filigree, in her first outing at Training Level, bringing home scores in the 70's. Nicole also showed her young horse, Royal Step, in his second show at Training Level. Congrats to everyone on a great show! What a fantastic way to start the show season! The Bunny Hop Dressage Show at the beautiful MDA facility brought qualifying scores for all our riders. A big, big congratulations to Kathy Massey and her stallion, Desi, for their scores in First and Training levels, including a 69%! To Jenny VanDeLoo on her Intermediare 1 debut with an incredible 68.6%. Nicole and Riley, in his first show, took the open high point with a 78%. To Ally Rogers on Darlene Preston's Corsican with scores in the high 60's at only his second show ever. Also to Ally on Faith McCormack's Reminisce, bringing home scores in the 70%'s. Such a fantastic team! So proud of all of you!! This January Ally Rogers had the opportunity to ride with 2012 Olympic gold medalist Carl Hester of the UK. Carl was in Wellington, FL the week of January 13th for the Dressage World Masters and to work with his longtime student, Katherine Bateson-Chandler. Katherine was a member of the 2010 US team for the WEG in Lexington, KY and the owner of the horse Absolute, whom Ally has had in training for almost 3 years while Katherine has been busy in the International competitive dressage scene. Katherine spends close to 8 months of the year in the UK training with Mr. Hester. Ally and Katherine have been friends for close to 20 years so Katherine entrusts her talented now 8 yr old Dutch warmblood to Ally while she is gone. Ally traveled to Wellington to drop "Lenny" off to Katherine for the winter season and was offered the opportunity to ride Lenny several days with Mr. Hester. Carl was actually the one who discovered Lenny for Katherine in England and facilitated the sale to Katherine, so he was well acquainted with him. Carl has a incredible eye and was quickly able to address the core of Lenny's and Ally's issues. Lenny is a hot, tense and sometimes very spooky horse who loses the ability to connect to the bridle through his back and curls behind the vertical. Through patient repetition of forward and back with slow aids teaching Lenny to deal with his tension by going towards the riders hand instead of away from it, there was a marked increase in the degree of relaxation and connection, especially by the second day of riding. He also worked on Ally's position with quiet but steady contact with her legs and hands. Never taking the aids away totally as the return of the aids causes him to overreact.